With 50 years of experience, our key factor to success is maintaining a solid commitment to provide our client with the standard of excellence they are accustomed to, while further offering the global expertise and knowledge that is available locally. Our history and expertise in our field has seen AEB create, plan, execute and complete over 1500 projects for a broad range of client sectors, in a vast scope of services globally. We pride our self on our technical and design ability, value-added engineering, high standards of quality, and adaptability to changes in the market by ensuring that AEB stays at the forefront of technology and resource development in the construction industry. We have built our organization on key factors such as industry knowledge, industry network, technical experience, staff development and training, and the constant reinventing and expansion of our services in order to meet client needs. This, in addition to Quality Management processes, standards and policies of operation, has allowed AEB to grow to a strong hold of over 600 staff. 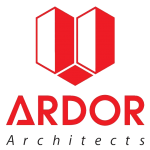 ARDOR Architects has always been improving our organization and building consultancy design services team. We have been designing buildings with high quality and leading research for new building construction technology and materials with sustainable design and environmentally friendly standards. We work with high enthusiasm to create an ideal company that always pioneers in providing top quality design consultancy services. Bentall Kennedy is one of North America's largest real estate investment advisors. We are also Canada's largest property manager, providing comprehensive real estate services to our clients. Bentall Kennedy serves the interests of more than 550 institutional investors across office, retail, industrial, and residential properties throughout North America. As a leader in Responsible Property Investing, we are committed to best-in-class environmental, social and governance practices in developing, leasing and managing commercial real estate. Bentall Kennedy is a member of the Sun Life Investment Management group of companies. 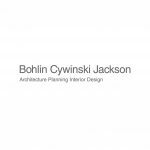 Since 1965, Bohlin Cywinski Jackson has received more than 625 regional, national, and international design awards, including three Committee on the Environment Top Ten Green Project awards from the American Institute of Architects (AIA). We are also the recipients of the AIA Architecture Firm Award, the most prestigious honor bestowed upon an architectural practice by the Institute. In addition, our founding principal, Peter Bohlin, was awarded the AIA Gold Medal, the highest honor an individual American architect can receive. CHINA JINMAO HOLDINGS GROUP LIMITED (stock code: HK00817) is a platform enterprise under the real estate and hotel segments of Sinochem Group, one of the top 500 world’s enterprises (ranking the 105th among the top 500 world’s enterprises in 2015 by “Fortune”). On 17 August 2007, the Company was listed on the Main Board of The Stock Exchange of Hong Kong Limited. It is now one of the component stocks of the Hong Kong Hang Seng Composite Index. Sinochem Group is one of the state-owned enterprises that are approved by the State-owned Assets Supervision and Administration Commission to engage principally in property development and hotel operations. China Jinmao is a large-scale and high-end property developer and operator specialising in developing world-class artistic urban landmarks in pursuit of harmony between man, architecture and nature in adherence to its corporate mission of “Unleashing Future Vitality of the City”. Its business segments cover high-end property development, business and commercial leasing, hotel investments and operations as well as retail development and operation. Given its foresight on city potentials, China Jinmao introduces a series of state-of-the-art and mutually beneficial property planning concepts to the cities to enhance city hierarchies. As to its insight on customer’s needs, China Jinmao brings in a number of value-added amenities and high standard products to its projects to create value to the community. Leverage on its adherence to professional operation, China Jinmao integrates the world’s leading quality resources together with its persistent operation commitments to achieve enhancement in regional functions and city vitality at large. PT Ciputra Residence is an Indonesian real estate company, and a subsidiary of publicly listed PT Ciputra Development Tbk. With projects located across the country, including the provinces of Java, Sumatra and Kalimantan, Ciputra Residence focuses on creating sustainable property developments that balance people’s needs for housing, community, and related services. Fresh water is becoming an increasingly valuable commodity, and water sourcing and management will become an ever greater challenge for energy producers. In 2010 ConocoPhillips launched the Global Water Sustainability Center to study technology related to produced water and desalination. Located in Doha, Qatar, the group’s research addresses ways to reduce freshwater consumption and minimize the environmental impact of wastewater discharge from oil and gas operations. The GWSC also partners with local Qatari governmental agencies to enhance awareness of water conservation in the region, which receives less than 7 inches of rain each year. Regional water needs are high and growing, which means the center is positioned to both understand local interests and contribute to solutions globally. A key research area for the center is desalination, a process that transforms salt water into consumable water. A current field pilot project with Qatar University’s chemical engineering department measures the effectiveness of augmenting thermal desalination with membrane distillation to produce fresh water. Thermal desalination uses a heat source to boil water. As the water evaporates salt and minerals are left in the base water while the pure water becomes steam. As the steam cools it forms condensed purified water. Membrane desalination, often referred to as reverse osmosis, incorporates two different approaches. Water is forced through a membrane to filter out salt and minerals, and an electrical current is used to separate salt and other minerals from the water. In addition to researching desalination processes, the GWSC has begun working with Qatargas to analyze and provide potential treatment options for recycling produced water from its liquefied natural gas operations. The organization also received a grant in 2012 from the Qatar Foundation for its innovative project on the biotreatment of petrochemical byproduct water. At ConocoPhillips we’re proud to be at the forefront of water sustainability. The Global Water Sustainability Center reflects our commitment to using innovative solutions to address issues of global concern.